We are looking for some wonderful foster homes and volunteers to help us grow our rescue! We are a foster home-based rescue, meaning we don’t have a facility so rely on our team of passionate Fosters & Volunteers! You don’t need to have previous experience as we have several opening for different positions. 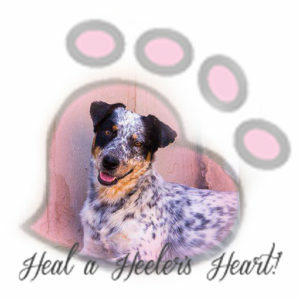 Heeling Heeler’s Hearts will cover all the medical for your foster dog. It can take anywhere from 2 weeks to a year to adopt a dog. It depends on if the dog comes to use with medical issues, behavioral, fear, and unexpected personality quirks. We will not take in dogs that are human aggressive or that have killed other animals. If you would like to join our little rescue please fill out the relevant application and we will be in touch as soon as possible!